As we begin 2015, we want to bring to your attention the newest national events available for you from the Library of Congress to support your professional learning using primary sources. 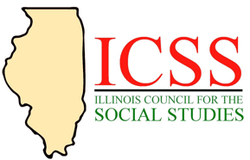 In addition, there is a state conference we think you might want to know about and participate in as well. PLUS … we bring you a new music recording of songs by the live demonstrators during the Civil Rights march from Selma to Montgomery, Alabama, in 1965. Immerse yourself in the practice of teaching with primary sources from the unparalleled collections of Library of Congress this summer. Apply to attend a week-long professional development program for K-12 educators in the nation’s capital. 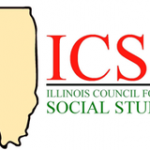 The Illinois Council for Social Studies and the Library of Congress Teaching with Primary Sources EIU are hosting the Spring 2015 ICSS Conference on Friday, March 6th. One piece of music in the recent and highly acclaimed Ava DuVernay film, Selma, is the actual voices of the live demonstrators. This historic piece of music was captured by one of the marchers that day who managed to conceal a large tape recorder under his coat. The brave man who avoided detection by the police that day was Carl Benkert, an architectural interior designer from Detroit, who joined local clergy to take part in and witness to the demonstration march from Selma to Montgomery, Alabama. The Smithsonian offers you the full recording to enjoy, song by song, without charge. CLICK HERE TO LISTEN TO THIS PLAYLIST AND READ MORE ABOUT THIS HISTORIC PIECE OF MUSIC. The Library of Congress offers a collection of 10 photographs depicting the historic march from Selma to the capitol in Montgomery, Alabama, which occurred in 1965. TPS-GSU Graduate Course begins soon! Blended course delivery, with face to face meetings/synchronous online meetings 3 times during the semester. Face to Face on January 24, February 7 and April 25 – from 9:00 am to 4:00 pm.